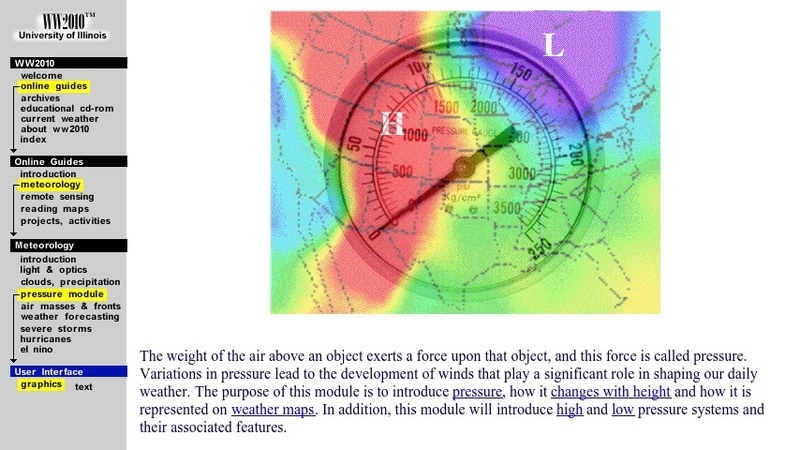 In this module, students will learn the concept of atmospheric pressure, how it changes with height, and how it is represented on maps. It consists of a set of links to each concept. Links to additional material are embedded in the text.